Real estate professionals are people people—and that’s what makes them so great at what they do! All summer we’ve been reporting on the collaborative relationship—and expanding influence—of Mark Baron and Jane Babcook. 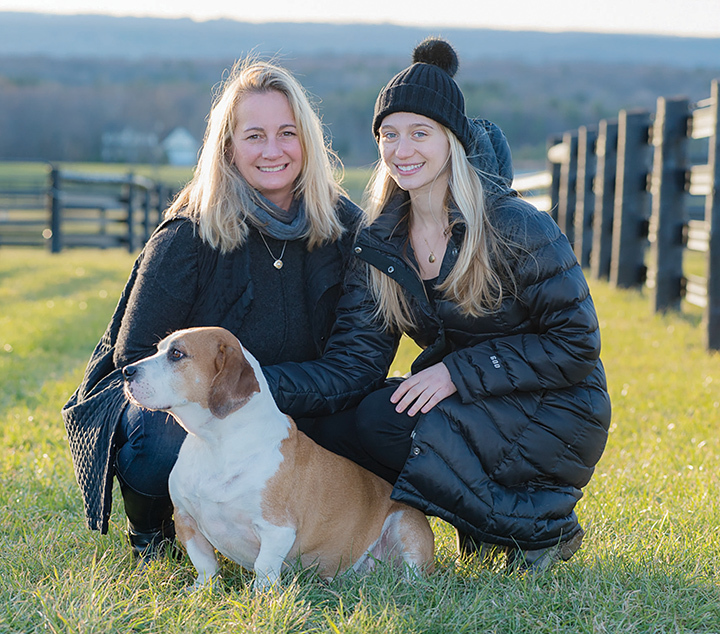 This month, we decided to get personal and learn more about this equestrian-loving family woman, one-on-one. It’s mid-season in the Hamptons. How would you rate this year compared to the past year? I would have to say the talk in town had been the weather. June was off to a slow start with a slew of cold and rainy days, but the silver lining was for retail shops and restaurants in town, which were able to benefit from people wanting to be inside. Someone has finally flipped the switch, and I think warm weather is here to stay for the rest of the summer. Much has been made of your collaboration with Mark Baron. What are your personal thoughts on your partnership? Mark and I are going on the second year of our partnership. We have come to understand each other’s strengths. Fortunately, one of us always has the upper hand and knows when to step back and let the other take the lead. What else is giving you creative juice in your personal life? I’ve really gotten into healthy eating. I’ve always loved to cook, and as I’ve gotten older, I’ve come to realize that there are a lot of things I need to cut out. Also, with my daughter back in the city after a few years away, I feel more connected to what’s happening with the younger crowd and what drives them. Is it your daughter who inspires you? Yes! Emma works really hard at her job with Creative Artists Agency, goes outside of her comfort zone, and gets to the gym nearly every day. You’re an avid equestrian. How are you enjoying your love of horses these days? My family is still very involved in the horse business. I live vicariously through my sister Joan. She and her husband are near completion of a beautiful farm in East Aurora. They continue to build their North Star brand as well as their reputation for bringing along (in the old school style) young horses either bred at the farm or from the young horse auctions in Belgium. I’m very proud of her. What’s the one thing people would be surprised to learn about you? That I have an identical twin sister. Joan and I both live in New York, but on opposite ends of the State. We are very close and still experience some spiritual encounters only twins understand.